Livestreaming apps need to be installed on every mobile device before they ship. Recently we started seeing the importance of cell phone video. When Manuel Diaz and Oscar Grant were shot, citizens with nothing but cell phones documented the incidents. And of course there's me, who uses a cell phone to document massive powerful events to the world -- from Occupy Wall Street, to the Anaheim Riots, and even Hurricane Sandy. A major incident can occur anywhere and at anytime, so it is imperative that you equip yourself and your mobile device with the tools you need. Twitter and Livestream are essentials for any good citizen. You never know if you'll be watching a bank robbery or a world record, but with these two tools you can show the world what's happening. I use nothing more than a cell phone to broadcast to the world, and here's how you can do this too. You can learn more about Tim Pool and his work on a recent episode of Radio Free Culture on WFMU. While you're at it, subscribe to the Radio Free Culture podcast, and check out the archives. 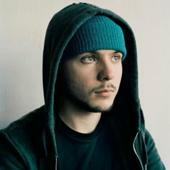 Tim Pool is a journalist whose unique style of interactive broadcast journalism exists at the intersection of social and mainstream media. His live coverage has been featured by news outlets such as Reuters, MSNBC, and Al Jazeera English. This is a great post. I have used bambuser to livecast my dogwalks.